In today’s business world, success requires the management of more than just inventory. There is also a need to account for all the physical assets within a business, and track their life-cycles. This includes everything from computers and software, to printers, copiers, office equipment and any other kind of internal property that’s an important part of a business. Asset Labeling Programs can be implemented at a very low cost, so there is no reason to leave any important business assets unlabeled and untracked any longer. Asset tracking labels have made managing a business a little bit easier. 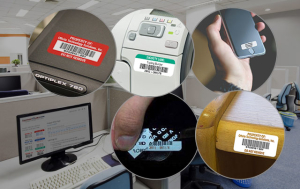 These innovative labels can include a consecutive ID Number and matching Barcode, which can easily be scanned and entered into a spreadsheet or database. This way, there is an actual log that keeps track of every individual asset within the business. Asset tracking labels can also be tamper resistant and very hard to remove, so they reliably stay attached to their assets throughout their full life-cycle. This is also a good way of tracking when an asset needs to be serviced or replaced, and helps with tracking asset depreciation schedules for the accounting department. If you are debating whether or not to buy a new asset, these labels will help provide all the information needed, with a simple “look-up” on the asset tracking spreadsheet. Without asset tracking labels, it’s often very difficult to tell when a business asset has gone missing or been misplaced. In addition, having equipment tracking labels on your assets serves as a deterrent to theft. People are far less likely to try and steal an item that is equipped with a tracking label, especially if the label contains a unique Serial ID Number and a Barcode. Investing in equipment for a business is expensive, but establishing an Equipment and Asset Tracking Program is not; good quality asset tracking labels cost only pennies. Smart businesses are willing to invest in the equipment they need to get ahead of the completion. Smart businesses are also willing to spend the small amount of time and money needed for an asset tracking program, to make sure they maximize their investments. Fast, inexpensive, easy to get started… setting up an Asset Tracking Program is an obvious “no brain’er” type of decision for any business that wants to take good care of their valuable equipment and help prevent theft. If you are looking to start an Equipment and Asset Tracking Program, or you would like to upgrade your ID Labels to be more durable and tamper resistant, we are your one-stop source for all types of labels. We are label and barcode experts, and we can help you with anything you need! 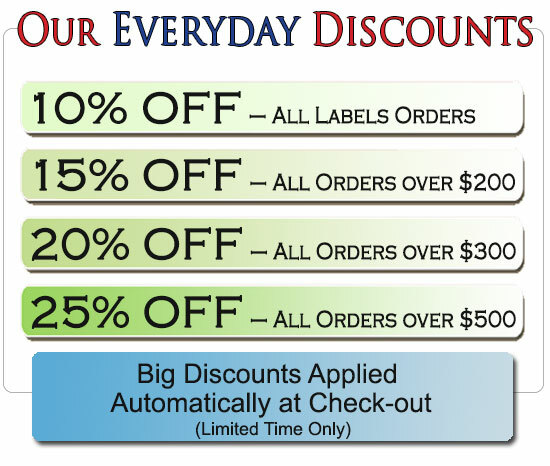 Please visit us online at www.EquipmentIDLabels.com or call and ask for one of our Label Experts at 1-800-764-6110.